NYC, a city forever in flux, is impossible to “see” in one visit. You just have to resign yourself to that fact, unless you move here (and maybe not even then), you’ll only barely scratch the surface! By the time you leave, new places will have cropped up. This city is home to thousands of restaurants, hundreds of museums, attractions, plays, and quirky things to do. Last weekend, I was walking down the street and stumbled into a (delicious) Japanese food festival. It was just there! You never know what you will find in NYC. As a traveler, how do you visit NYC? What are the best things to see and do here? What is the best itinerary for NYC? How do you make the most of your time here? 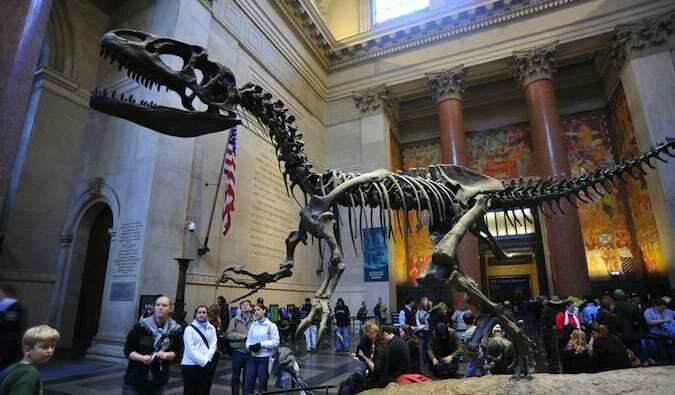 There are ways to make the most of the limited time travelers have in New York. You need at least three days to really see the city, though a quick hits could be done in a two day NYC itinerary. Sice I’ve written a guidebook to this city, have lived here for close to five years, run tours here, and, overall, just been everywhere in pursuit of knowing the best things to do in NYC, I want to share the best things to do in New York City and help you organize everything the city has (and it has a lot) into an easy to follow itinerary to help you make the most of your visit! Though the line for the ferry from Battery Park is long, if you get there early, you can avoid most of it. (Come late and you’ll have to wait a few hours.) The Statue of Liberty is spectacular to see up close (she’s as big as you imagine), but the real highlight of this combo is Ellis Island, where you can learn about the immigrant experience and get a sense of the people who helped build NYC (you’ll even find my family’s name inscribed on the wall!). There’s such a great sense of history there that you can’t help but be impressed. Tip: If the line’s too long and you don’t want to wait, take the free Staten Island ferry for photos of the statue and harbor. Leave from Battery Park, Lower Manhattan, +1 201 604 2800, nps.gov/stli. 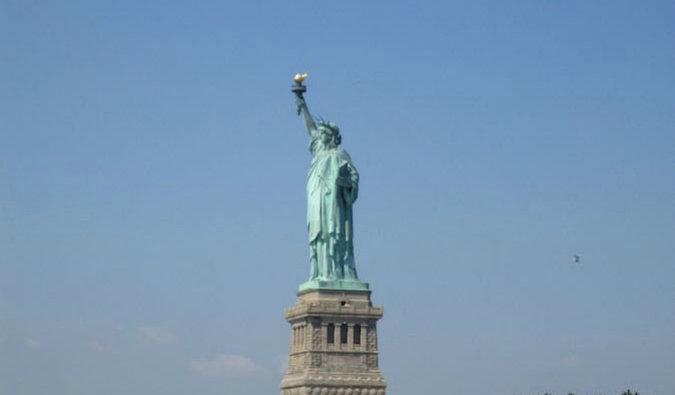 Ferries to Liberty Island go daily (9am–3:30pm). Price: $18.50 for the ferry, free to access the pedestal and Ellis Island’s Great Hall, +$3 to access the crown. Tickets (especially crown tickets) must be purchased well in advance! Discounts for seniors and children. Named Battery Park for the old batteries (cannons) that defended the city, stop here for music and street performers, people-watching, relaxing, and all other park-related activities. You can also explore the ruins of the old fort that kept watch over New York City. Battery Park is large and hectic, but I still love walking through here. There are tremendous views of the harbor, too. 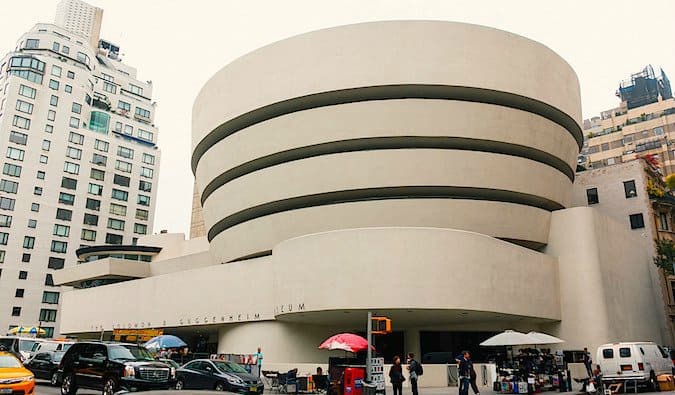 One of the most overlooked museums in the city sits across the street from the NY Stock Exchange (NYSE). Federal Hall, built in 1700, is where George Washington took his oath of office (you can see the Bible he was sworn in on! ), was the first capitol building of the US, and was the site of the US Customs House in the late 1700s. It’s one of my favorite attractions in the area. I especially love the old vaults of Customs House. I highly recommend you visit, plus it’s small and doesn’t take long. 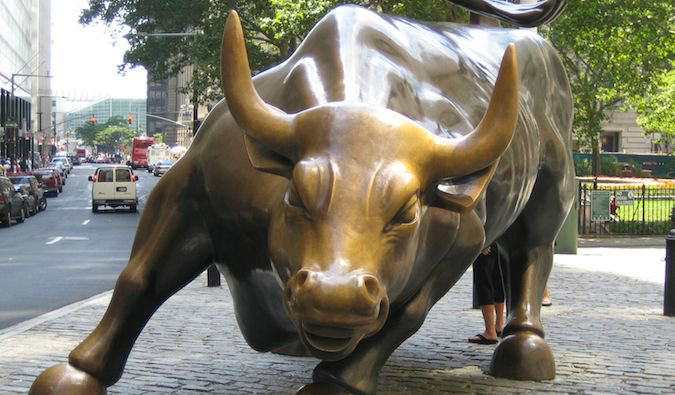 26 Wall Street, Financial District, Lower Manhattan, +1 212 825 6990, nps.gov/feha. Opening hours: Mon–Fri (9am–5pm), Sat–Sun (closed). Also open on Saturdays (9am-5pm) in the summer. 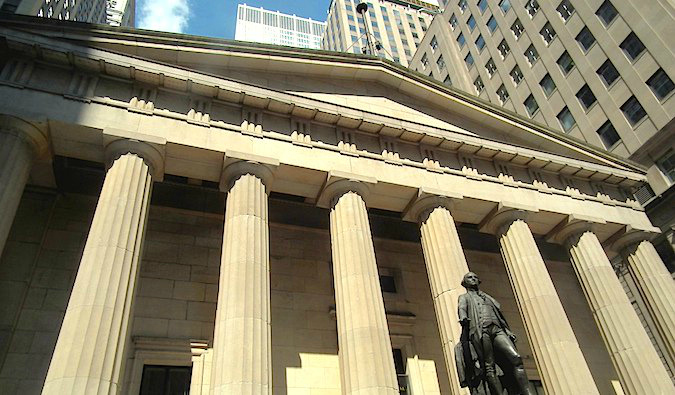 Down the street from NYSE and Federal Hall is the Museum of American Finance. Housed in a historic bank building on Wall Street (of course! 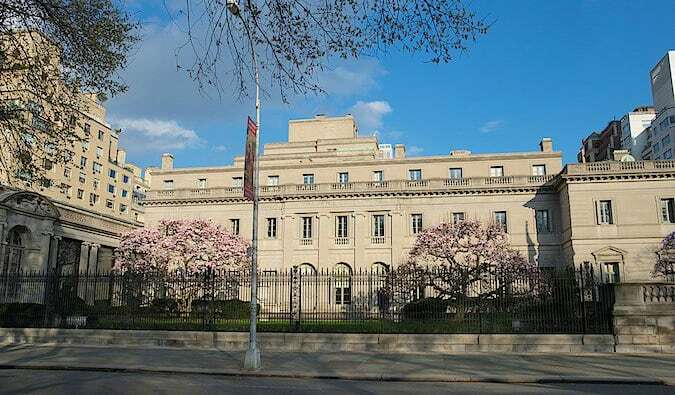 ), it has permanent exhibits on the financial markets, money, banking, entrepreneurship, and Alexander Hamilton (the founder of the US financial system). 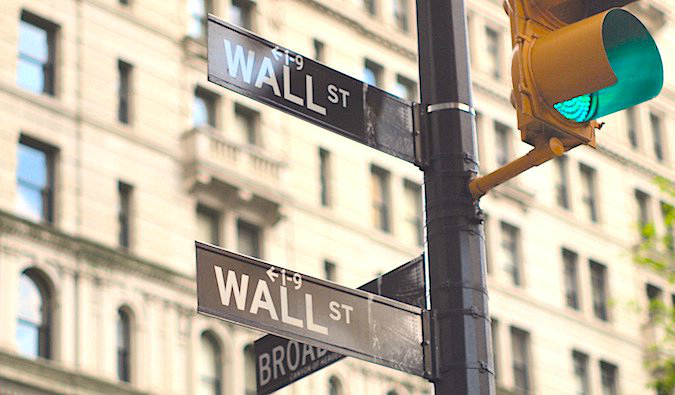 If you want to understand the workings of what happens on Wall Street, this is a perfect place to start. 48 Wall Street, Financial District, Lower Manhattan, +1 212 908 4110, moaf.org. Opening hours: Tue–Sat (10am–4pm). Price: $8, discounts for students and seniors. Note: At the time of writing, the museum is currently closed due to damages. Reopen date is TBD. 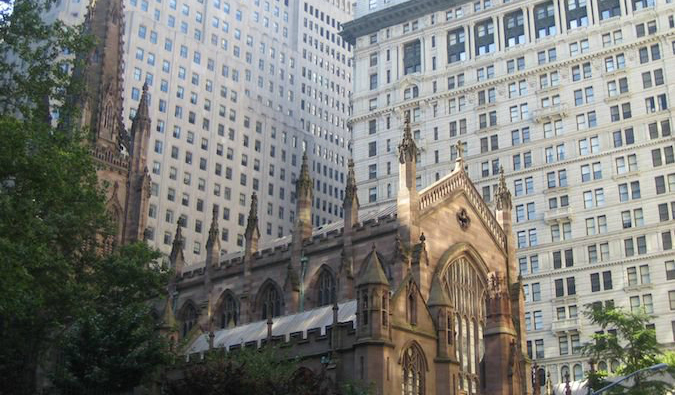 Trinity Church is one of the oldest churches in America. The original building burned down in 1776, but the current church is still beautiful, with an ornate Gothic style structure. The church is most famous for its colonial graveyard, where you’ll find many famous Americans, including Alexander Hamilton, one of America’s founding fathers. 74 Trinity Place, Financial District, Lower Manhattan, +1 212 602 0800, trinitywallstreet.org. Opening hours: Daily (7am–6pm). 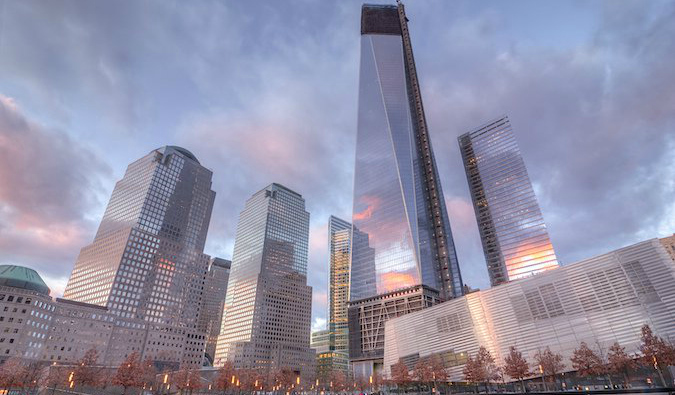 The recently opened “Freedom Tower” gives you a panoramic view of the city, and there is also a lot of information about the 9/11 terrorist attacks. On the elevator up, you can also see images of the historical development of NYC. At the bottom of the tower is a park commemorating the victims of the attacks along with an extensive museum. The museum houses moving exhibits about the significance of 9/11. For an additional fee (on top of the entrance fee), there are guided tours. 180 Greenwich Street, Financial District, Lower Manhattan, +1 212 266 5211, 911memorial.org. Opening hours: Daily memorial hours (7:30am–9pm); daily museum hours (9am–8pm; last entry permitted at 6pm, closes one hour later on Fri–Sat). Note: I highly recommend pre-booking your tickets. Price: Memorial is free to visit, museum entry is $24, discounts available; free entry Tuesdays after 5pm (first come, first served). Click here to get my huge, detailed insider’s guidebook to NYC and plan your ultimate visit there! 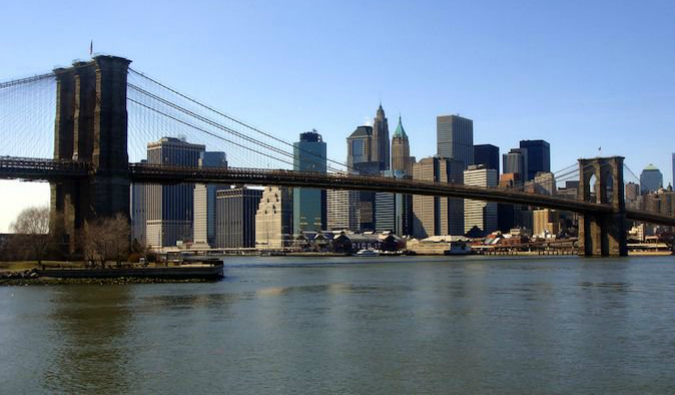 Right near City Hall (see the next entry), the Brooklyn Bridge offers an easy 25-minute walk into Brooklyn and the waterfront park on the other side. Stopping to take photos and meandering along the way will make the walk about 40 minutes. You get a lot of wonderful views of downtown as you make your way across (and especially from the park). I enjoy doing this walk at night when downtown Manhattan is all lit up. New York’s City Hall is a great piece of historic architecture and has a beautiful little park that’s filled with office workers during lunch (as well as a circular tablet about the site’s history). 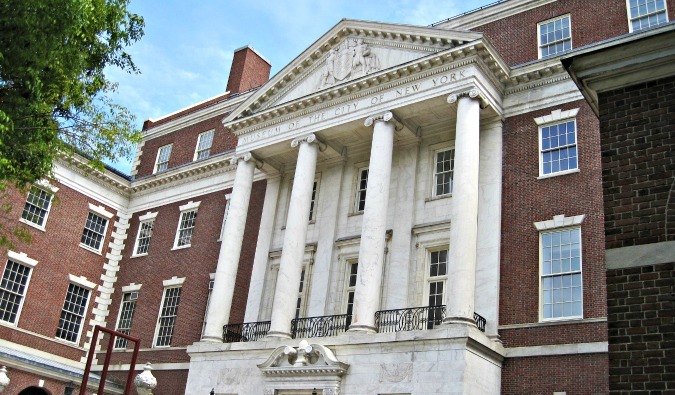 To learn about the building’s history, art, and architecture, take one of the tours. This way, you’ll be able to see the landmarked rotunda, city council chamber, Governor’s Room, and the City Hall Portrait Collection. City Hall Park. Pre-reserved tours are typically offered for groups (10–20 people) on Mondays and Tuesdays at 10:30am and for individuals on Thursdays at 10am. There are also first-come, first-served tours on Wednesdays at 12pm. 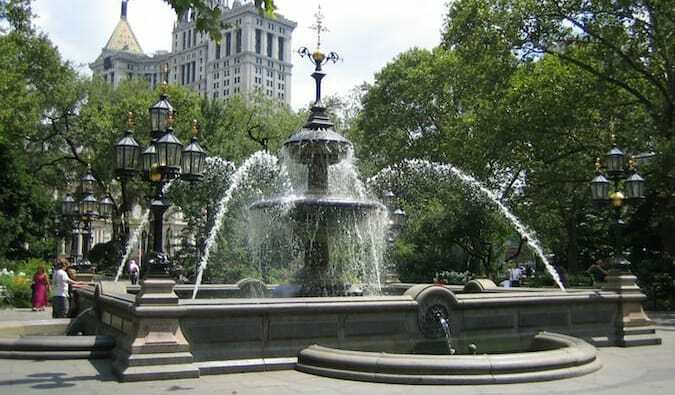 After you finish up with lower Manhattan, jet up to this historic landmark in New York City. 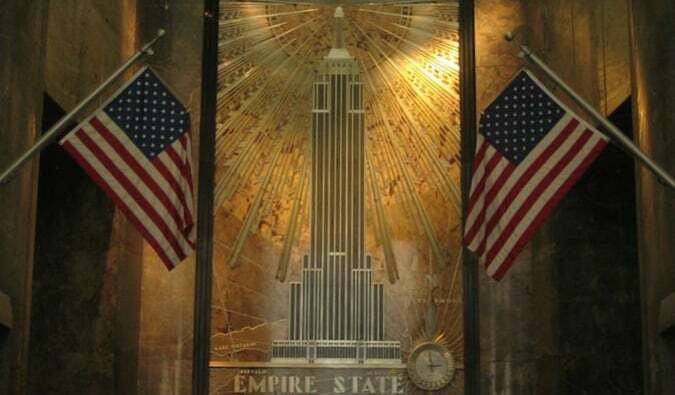 The 1930s art deco interior is beautiful, and the view from the top is breathtaking. You can get a real feel for how densely populated New York is as you stare out at the city. Get here early or during lunchtime to avoid the lines and tour groups. 350 5th Avenue, Midtown, +1 212 736 3100, esbnyc.com. 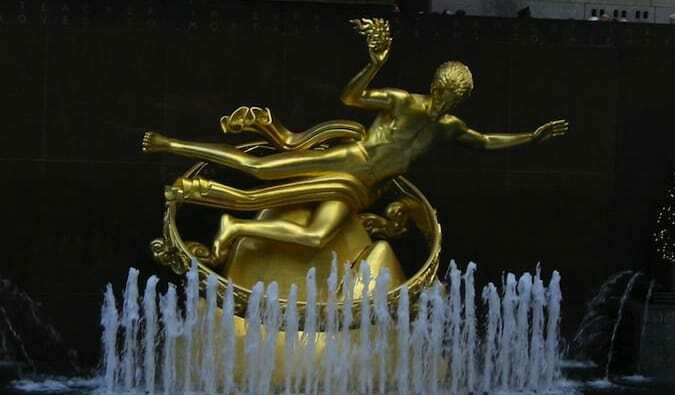 Price: $36 to visit the observation deck once, $50 to combine that with a tour of Rockefeller Center, $54 to visit the observation deck twice in 24 hours. Discounts available for children and seniors. 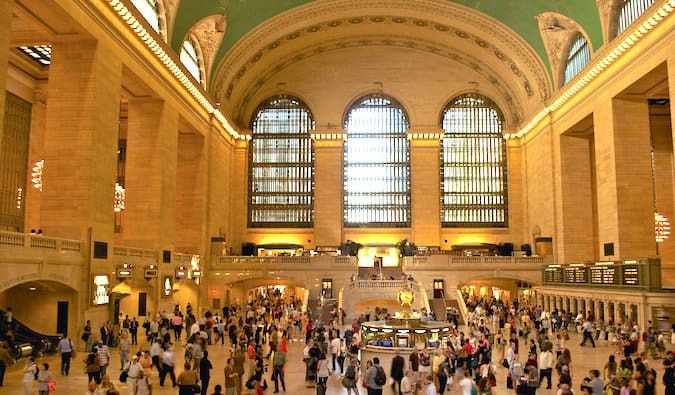 Grand Central Terminal is the city’s historic train station. It was going to be torn down in 1975 but was saved by Jacqueline Kennedy, who raised money for its preservation. There are free historical tours on Wednesdays. I love coming to the main concourse and looking up at the “stars” in the ceiling and people-watching as everyone races to and fro. All those people — where do they go? What do they do? Also, there’s an amazing eatery in the basement called the Grand Central Oyster Bar & Restaurant. And for fancy (and expensive) cocktails, visit the Campbell Apartments and step back into the 1920s (dress code enforced). 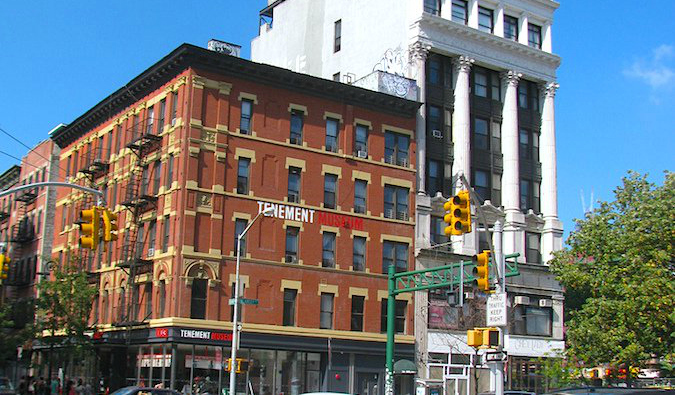 The space was once the office of John W. Campbell, a member of the New York Central Railroad’s board of directors and finance tycoon from the 1920s. 89 E. 42nd Street, Midtown, grandcentralterminal.com. Opening hours: Daily (5:30am–2am). Tours daily (12:30pm). Tour price: $30, discounts available. Purchase at mas.org/tours or at the ticket windows. This area is always filled with hustle and bustle. Wander around Rockefeller Center to see where they film The Today Show, shop, snack, and take the elevator to the “Top of the Rock” for another bird’s-eye view of the city (which I personally think it better than the Empire State Building, since from the top of here you can get that building in your picture too!). Take a walking tour – NYC is home to dozens of walking tour companies (many of them FREE) offering tours on every genre possible. If you like it, there is a tour revolving around it. Be sure to take one of the many, many walking tours the city has to offer to get a unique and cultural look at the city that never sleeps from a local guide. I always take my friends on at least one when they visit. 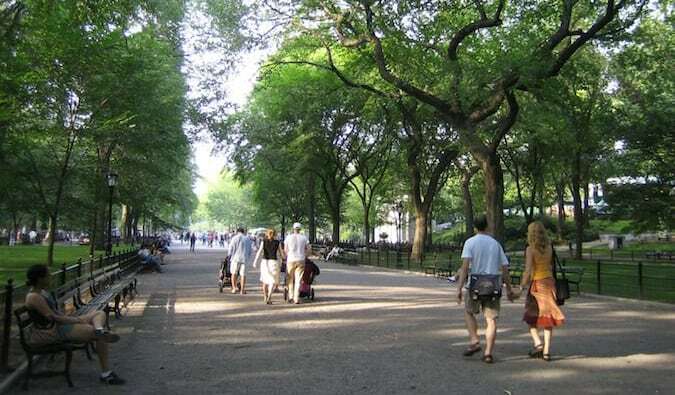 This post lists my favorite NYC walking tours. Prospect Park – Get out of Manhattan and explore Brooklyn’s version of Central Park and the cool Brooklyn Museum right near it. 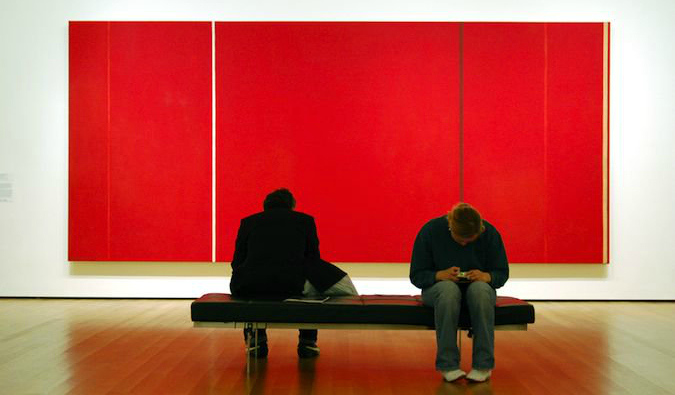 Spend the afternoon discovering its vast collection of both historic and contemporary art and artifacts. See a Yankees/Mets/Rangers/Knicks game – Like sports? NYC has some world-class sports teams. I’m not a big sports fan (the Yankees play soccer, right? ), but games are fun when you have friends to share the experience with. If you have a chance and the desire, don’t miss a sporting event, because New Yorkers are serious about their local teams! See a TV Show! – TV shows like Saturday Night Live, The View, Late Night with Stephen Colbert, The Daily Show, Last Week Tonight, and Late Night with Jimmy Fallon offer free tickets to their tapings (although they must be reserved well in advance). See each show’s website for details and to make reservations. Eat your heart out – NYC is one of the best foodie cities in the world — you can find cuisines from every ethnicity here and to fit every budget. Check out these 24 amazing places to eat in New York City. Greenwich Village Literary Pub Crawl – (+1 212 613 5796, Greenwich Village, literarypubcrawl.com. – This pub crawl takes visitors around bars in the West Village and fills their heads with information about famous drinking writers – and their stomachs with a lot of beer. Price: $30, $25 for students and seniors. 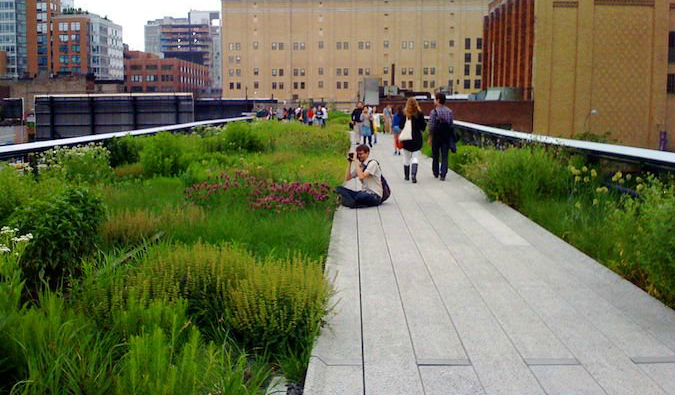 New York City is a big place with a lot to do and this list barely scratches the surface. Four days is barely enough to squeeze these activities in, let alone find time to visit boroughs like Queens and Brooklyn. If you have the time, I recommend staying for at least five days. But if you’re pressed for time, following these tips will give you four days full of fun and excitement in the city that never sleeps. Hey Matt, I only visited NY once and haven’t seen much, only a few of the monuments. 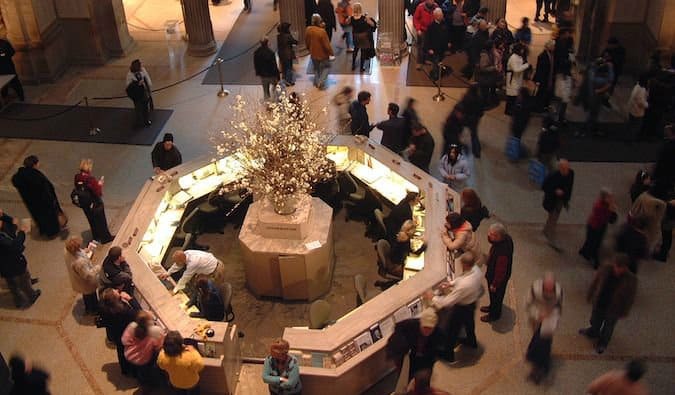 No museums, sadly, even though I wouldn’t handle as many as you propose in your sample itinerary! Unfortunately, back then, I was quite attracted by Century 21 and wasted at least half a day shopping for clothes! As I’ve matured since that time, I think I better go back and give New York more chance 🙂 So thanks for planting the idea in my head! Thanks for the nice summary, a very aggressive plan to be sure for four days. You might want to fix one thing: the train terminal on the east side is called Grand Central Terminal (GCT), not station. New Yorkers should not get this wrong! The station is the post office next door to it. 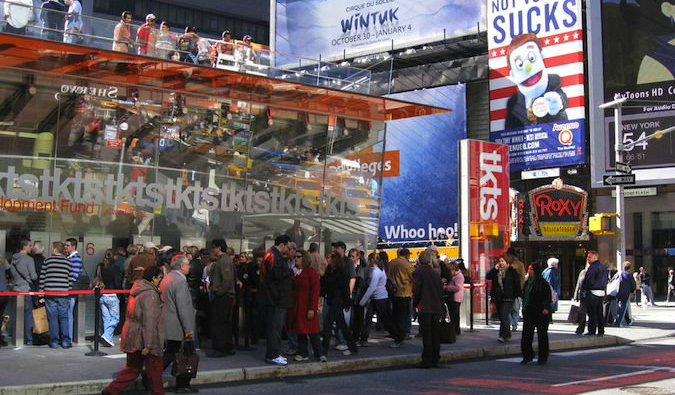 Have you ever tried the “New York City Pass”? Looks like you pay one price then squeeze in whatever you can! I have used the New York City Pass (Sep 2014) and yes many of Matts suggestions are covered in this pass. The itinerary Matts has suggested will have you fall in Love with this amazing city. Sounds like you are all booked – an experience you will never forget. This post was very helpful. 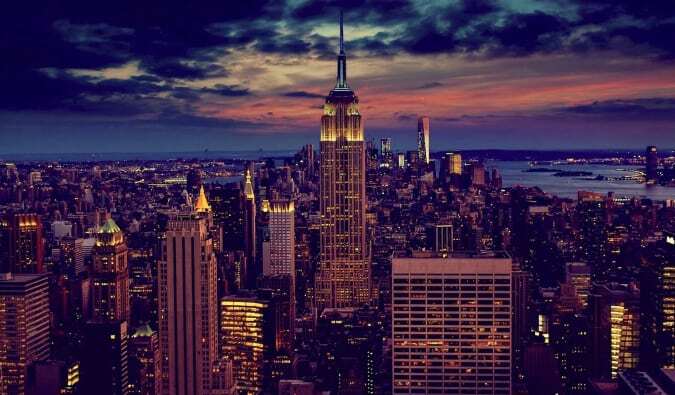 I would love to visit New York, it’s a great city. I fell in love with NYC and it’s surrounding boroughs way back in 1980 while on a college trip for credit (we actually got credit if we wrote papers about our experience, which I did). I have been back to NY probably 30 times and it never bores me. I get tired, poor, lonely (surprising in a city of 8+ million people), but it continues to fascinate me. I’ve long since stopped the typical touristy things (well, everyonce in a while), and do a lot of off the beaten paths. Highlight of a trip; visit Harry Houdini’s grave and the last place he lived. Going back in two months. Any suggestions for other otbp type experiences? 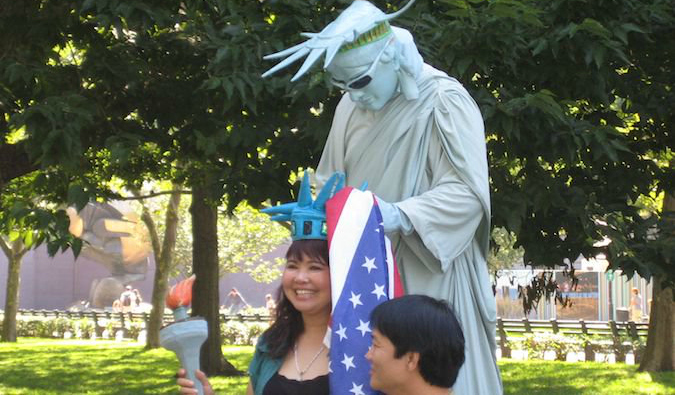 I lived in NYC for five years and have only done about half of these things — and I only got to the Statue of Liberty for the first time a few months ago! I’d say those are the highlights, though it seems like you would have to pick only one of those museums for day 3. New York is overwhelming, but I can’t help going back over and over again. If you find yourself in the Bronx, make sure to check out the Italian Market on Arthur Ave and Belmont! Delicious food and even better atmosphere. wow, that’s quite an ambitious itinerary to say the least. I lived in NYC for 20 years and I still don’t think that I’ve seen all of the met museum, much less do it in a fifth of a day, including two other large museums, central park and a Broadway show! I would strongly suggest that your readers pick one or two options at the most for each day or risk adding one more NYC experience: being treated for exhaustion at Mt. Sinai hospital. Will use this guide when I’m in NYC, hopefully this year still! The view from the top of the new One World Trade Center and the walk on Brooklyn Bridge at sunset were truly unforgettable moments! This is such a great guide! I’ll be visiting New York soon, and I’ll make sure to use this post when planning my visit. It’s interesting how Times Square is mostly just tourists, not really local New Yorkers. Great itinerary for a first time visitor. I’d add Lincoln Center, and, if you can plan far enough ahead, attending a performance at the Metropolitan Opera–not as expensive as most Broadway shows if you book in advance and sit in the “cheap” seats! Also, I love Washington Square Park, since it’s seen in so many TV shows and movies, and Madison Square Park for views of the Flatiron Building and eating at the Shake Shack. Pretty solid itinerary. I’ve been for 8 days in the spring and I’m looking at doing 8-10 days this fall. I try to only pick 1-2 things to do each day. Matt (and team), do you guys have suggestions for bike rentals in Central Park? Last time I walked every where. This time I’d like to see more (with less effort :p). Also- I think it would be cool to see a post on your favourite (favorite :p) local pubs! As someone who writes regularly about NYC, I would recommend a completely different itinerary so people can experience some of the local culture. A museum or two is fine, but I don’t think anyone can get a sense of the city or people by museum hopping. What about strolling through the West Village, exploring the food scene in the East Village, or shopping in Williamsburg? I think hitting a few major attractions is essential for every tourist, but they also want to do the city like a local. Just a thought. I will be there for 4 days this August. I don’t want to get ” museumed out” so any suggestions in how to soak up the atmosphere is very welcome. My first time in the USA! I really appreciated this post, especially because my wife and I are wanting to take a short trip to NYC together. I’ve never been there, so this guide was very helpful for me to see different things we could do together. My wife is big into Broadway shows, so I appreciated your tip about finding discounted theater tickets. Thanks for sharing this. Can I have more informations about the discount theater tickets (places, and the app with offers ). I want so much to go to see the Lion King but the ticket is so expensive. This is a great little (well big) guide. Having only spent a night and two days in NY I would love to go back, and follow some of these tips. Shopping in the USA/NY is the best!! Great itinerary! I especially liked the ‘Budget Tips’ you had under a couple of the sections… but wish you had that for the Broadway Shows section. We are taking my daughter for graduation and seeing a few Broadway shows is what she wants to do, just hoping we can afford to take the whole family to a few of them. Any tips for getting great deals? We are willing to see matinees or go Off-Broadway for some good entertainment as well. Good suggestions , as you hit all the well known landmarks, but I’m surprised you didn’t have the United Nations Headquarters on the list. I consider this a “must see” in line with the 9/11 museum and the Statue of Liberty…and it’s free to enter and only $22 for an hour long guided tour . Hi Matt! Thanks so much for providing such helpful financial and travel information on your amazing blog. As someone who has both been to New York City many times and who is going there again for a weekend soon – your list is incredibly helpful. 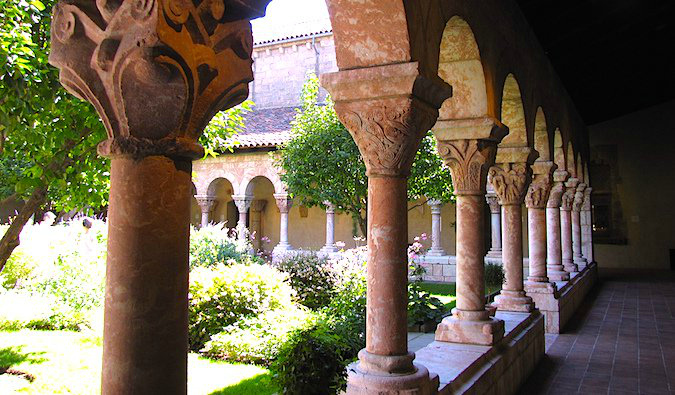 There’s a great sample here of places to visit and I really love that you included the The Cloisters, the Museum of American Finance and The Frick Collection. Those are sights that are not on many tourists’ New York visit list. I think it would also be great to add in some local culture ideas like visiting Little Italy and the East Village. For four days, this is a lot to pack in but it works as a strong guide and is very useful due to the budget information about Broadway and price listings for museums, etc., as not everyone wants to use things like the NYC City Pass. Thanks so much for the diverse information! Omg, Matt, this is an awesome post. I am planning to go NY in December for Xmas and New year alone. And I am going to use to guide to see/eat as many things as possible ! Hi Sha I’m thinking of going to NYC alone for New Years too this year….although a little scared of possibly spending NYE alone and regretting it…..this shouldn’t be possible in this awesome city though, is it? I’ve been 3 times before but always with someone. 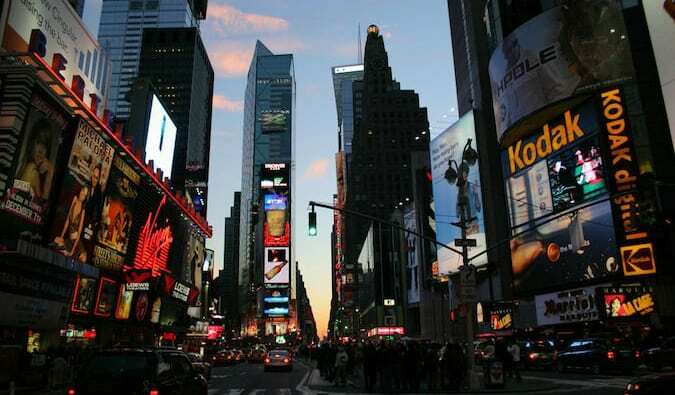 Next month, I am going to be moving to New York City where I will be living there just for one semester. I definitely would like to go and see a TV show or two while I am there, but I’m not too sure how exactly I can make that happen. How far in advance do I have to reserve my spot to go to a show? Trying to plan a 4 day trip for May 2017. Suggestions as to where to stay? On our list of things to see are the following…Statue of Liberty, Wall Street, WTC memorial, Brooklyn Bridge, Empire State Building, Times Square, Yankee Stadium, Central Park and of course the diner featured on Seinfeld! What general area should I look at closest to all of the sites we want to see? I’ve lived in NYC almost all my life (I work as a tour guide in the city), and I can honestly say that this short itinerary is one of the best ones I’ve come across. It’s also very doable! If you’re traveling to the city on a budget and don’t want to spend a lot of money on food, I highly suggest heading to Bleeker Street, where you’ll find many free food samples, like chocolate, cheese and sometimes meat. I think that New York is the most wonderful city on earth. I remember that the first day that I spend in the city I went to a fantastic organic nail salon. The experience was great, honestly! I love New York since that. Fantastic list and great high quality pictures! As an upstate NYer, day trips to NYC are my favorite. It’s definitely cool to check out Wall Street or walk the Brooklyn Bridge every now and then, but I get enjoyment just from walking around and checking out the shops/restaurants. Endless amount of places to visit. Hi there, just wanted to say thanks for this post! I just used this itinerary with my friend just two weeks ago – we were even able to add in a few places along the way. I highly recommend this to anyone with only a few days to spend in NY! Will recommend this to friends traveling. No Chinatown? No Little Italy? Soho and the East Village? New York is most wonderful city on the earth. I appreciated this post, my friends and I are making plan for long trip to new York in 2017 we are 4 adult and we are never been there, this is first time to visit NYC we hope our trip will be great. Thanks for sharing your best experience. That is a must read by anyone planning a visit to NYC. Fabulous list and lovely images. This is a fascinating city that has something exciting for everything.